by JoAnn M. Christy, C.M.T. While there is no specific professional designation at this time that gives a massage therapist the credentials to differentiate between medical massage and therapeutic massage, there are insurance companies that now recognize massage therapy as a viable pain management technique. Check with your insurance company to see if massage therapy is covered by your insurance plan. If it is then the next step is to obtain a prescription for massage therapy from your Doctor. Before calling me to set up an appointment you need to 1) find out if your insurance company will cover massage therapy, 2) get a prescription from your physician that includes the number of sessions your doctor thinks you will need. I will not work directly with your insurance company but will provide you with a receipt for you to submit for reimbursement. You will need to pay me directly for services at the time of your session(s) and then submit the paperwork for you to be recompensed from your insurance provider. Workers Comp and UVA sometimes allow massage therapy as part of a treatment plan when accompanied by a doctor's prescription for massage. If you obtain a prescription for massage therapy from your doctor and your Worker's Comp provider gives authorization, I will be able to provide you with as many sessions as your Physician prescribes. Your healthcare management company will reimburse me, with no cost to you. I will file the paperwork and receive reimbursement directly from your worker's comp provider. d) Call me for a free consult so we can go over your current medical issues and your goals for massage therapy sessions. At that time I will ask you a few questions such as if you have obtained the prescription from your doctor, the name and number of your Worker's Comp representative and we will schedule an appointment if you feel ready to do so. I will then call your Worker's Comp representative to ensure that your sessions have been authorized. The following is a detailed description of what to expect in my treatment room. If you are already familiar with this brand of soft tissue therapy, feel free to schedule your appointment. The Schatz Technique is a soft tissue therapy that is utilized for the treatment of specific conditions and ailments. It can be useful for both chronic (long term) pain as well as acute (recent) pain due to a strained muscle or general muscle pain. I use a variety of techniques to give you the relief you need. 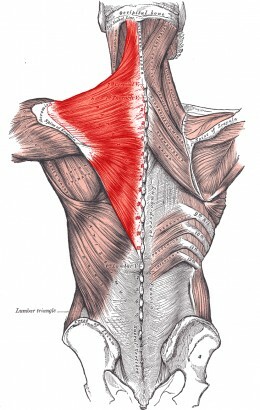 The Schatz Technique is best achieved by working on the muscle group affected as well as surrounding tissues. This provides you with a session that is tailored to your specific needs. In a Schatz Technique therapy session, a full-body treatment is rarely done. It is usually best to schedule a session to treat one area of the body at at time so that you can reap the full benefit. When you come for your first appointment, please arrive a few minutes early in order to fill out a short medical intake form. We'll then spend some discussing your specific areas of pain. I will ask you if you've had soft tissue manipulation previously and if you have any areas of extreme sensitivity. I will answer any questions you may have and then show you to the other side of the screen where you will undress once I've stepped out to give you privacy. I will show you where to place or hang your clothing and at this point I will step out of the room to wash my hands. This will give you time to remove any jewelry, disrobe and get under the top sheet and cover yourself. I always ask permission before I return so that you are assured that you've had enough time to undress and get under the sheets. A hospital gown is provided for your comfort but is not required. I will ask you to undress to the level of YOUR comfort. It is always advisable for women to remove their bras when getting shoulder, neck or back treatment but if you prefer to keep your bra on, please pull the shoulder straps down. With your permission, when you're face down, I will unhook your bra. I will ensure your privacy by draping the sheets in such a way that you will feel comfortable and secure and then cover you when I've completed addressing a particular area. You are welcome to leave on your boxer's/briefs if it makes your more comfortable. If you choose to leave boxer's on, it will make it somewhat challenging for me to work into your upper thighs and gluteal muscles but some work can be done over the top of the sheet. As with women, I provide competent draping of the sheet to provide privacy at all times. My table has a warmer that can be adjusted to suit your preferences. I have additional blankets if you still feel to cool. If at any point during the treatment you feel too warm or too cool, please let me know and I will adjust the table warmer or the blanket. The lights will be dimmed and before coming around the screens I will ask you if you're ready. At that point, your session will begin. In The Schatz Technique, different positions are required in order for me to correctly palpate ( feel ) and gently coax your painful tissues. You may be asked to go into a side-lying position and I will provide pillows to make you comfortable. If there is any discomfort, we will adjust until your body feels relaxed. You may also be asked to lay face down. If there are any positions that cause you pain or discomfort, we will continue to adjust your body until you feel comfortable. I will use an unscented creme and gently address the areas of pain and surrounding tissues. I may check in at times to address the level of pressure that's comfortable for you. I encourage you to communicate with me any areas of tenderness. This technique is gentle but effective and the goal is to coax the tissues without creating a deep sensation of pain. The level of pressure can be deeper or more gentle and I will use my discretion in how best to treat you. If you enjoy the relaxing scent of lavender, I will add a few drops to my massage creme. I may use a combination of cool, marble stones and heated, basalt stones. The cool stones help wick off the heat from congested and inflamed tissues, while the heated stones increase circulation. If you find that either is unpleasant, please feel free to communicate your wishes. Conversation during the session should be limited to communication about the session itself and your feedback is greatly appreciated. If you are a person that prefers light conversation, feel free! At the time I sense that you are ready to go quiet, I will as well. It takes some people longer to relax than others and I attempt to be sensitive to your responses. At the conclusion of session, you will be covered with the sheet and blanket. I will place a bottle of water next to the treatment table, within your reach and return in 10 minutes. During that 10 minutes, I will ask that you stay on the table and just relax. You are not expected to jump up and get dressed! When I return to the room, I will turn on the light and you will get off the table slowly and get dressed. When you're done dressing, you'll come back around the screens and have a seat. We'll talk about what you experienced during your session and my suggestions for after-care. Please allow an additional 1/2 hour to your schedule so that you won't feel rushed. This gives us time on the front end of your session for a brief discussion as well as time afterwards, for me to answer your questions. Again, you are only charged for the time that I spend providing the hands-on treatment.